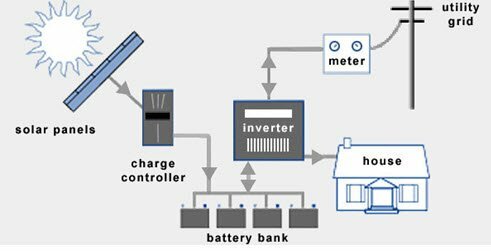 Hybrid solar is a standard home solar system with the addition of battery storage. Batteries are used to store excess power, so that it can be used during peak periods, such as night time. So why would you install or upgrade to a hybrid solar system? As technology and research into renewable energy continues to develop, the results that can be achieved using solar products increases. 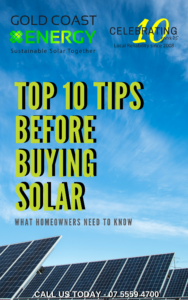 The features and benefits of traditional solar power systems now seem out-dated, as they can only provide electricity during the day and cannot provide power during a blackout. A hybrid solar power system can provide power to your home 24 hours a day, while your home remains connected to the electricity grid. This is reassuring for home owners, as you will still be able to pull power from the electricity grid in times of high demand or if it rains for a long time. The increased use of hybrid systems is now being felt by electricity companies around Australia. Renewable Energy Advocates are claiming battery technology will spell the end of the electricity grid and existing electricity companies. Electricity companies have needed to transform their businesses, as their customers embrace renewable energy and reduced their electricity use. Some companies are now offering hybrid solar systems for lease, in a bid to keep customers. 33 Hybrid solar systems will be installed in regional Queensland homes, as part of a commercial trial run by Ergon Energy. Who would have thought you would see electricity companies renting out solar power! The demand in Australia for batteries that allow households to better match up the power generated from their rooftop panels is about to take off. One such battery is the Tesla Powerwall. Tesla CEO Elon Musk, said the company is “basically sold out” of what it could sell during 2016. He said that 100,000 reservations for Powerwall and Powerpack had already been made. The company believes it will be doing five to 10 times more business in 2017 than 2016. If you do not have solar panels, but it is something you are considering, we highly recommend you consider a hybrid solar system. 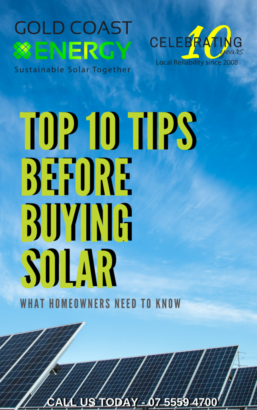 The amount of solar PV and battery capacity you should get will depend on your goals and your budget. Gold Coast Energy are leaders in our field and can assess your needs and provide a competitive quote.